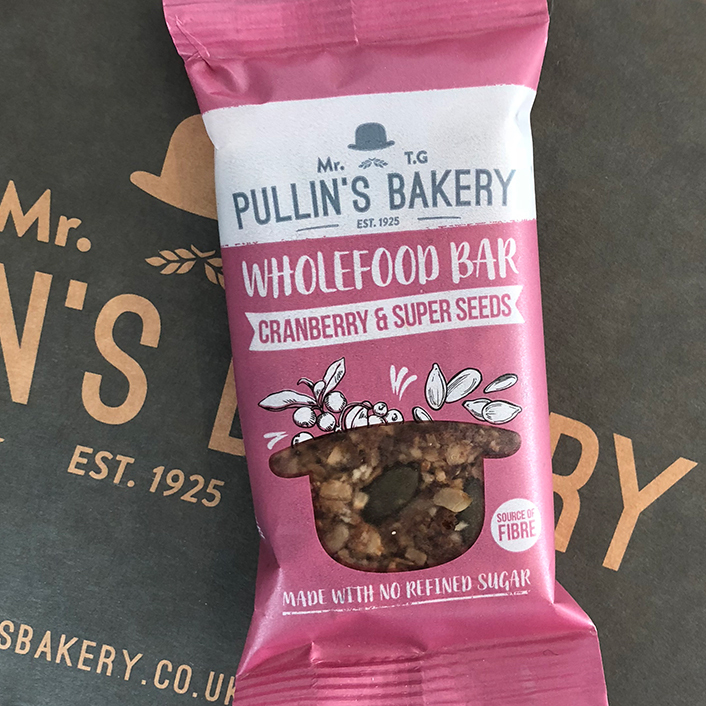 After months tinkering in the kitchen, tweaking and perfecting a new recipe we’re finally ready to unveil our new Cranberry & Superseed Wholefood Bar – suitable for vegans, made with no refined sugar and a source of fibre too. We’ve used sugar alternatives such as agave nectar, coconut sugar and date paste and instead of butter or margarine we’ve added coconut oil. You’ll also find diced, unsweetened cranberries, natural chopped apricot and a mix of super seeds in the bar, such as flax, pumpkin and sunflower seeds. The feedback so far has been great and we’re proud to have our first vegan and no refined sugar product on the shelves. Keep an eye out for one and let us know what you think.